Calvin Klein unveiled the company’s Spring 2014 global multimedia advertising campaigns for the Calvin Klein Collection, Calvin Klein Jeans and Calvin Klein white label brands, which will be comprised of a strategic mix of print, digital and outdoor advertising. 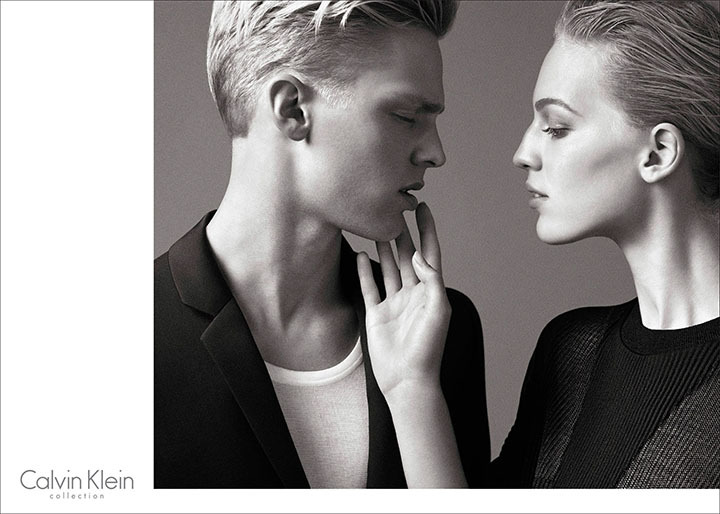 The Spring 2014 global print advertising campaign for the men’s and women’s Calvin Klein Collection was shot by photographers Mert Alas & Marcus Piggott and features models Vanessa Axente and Clark Bockelman. 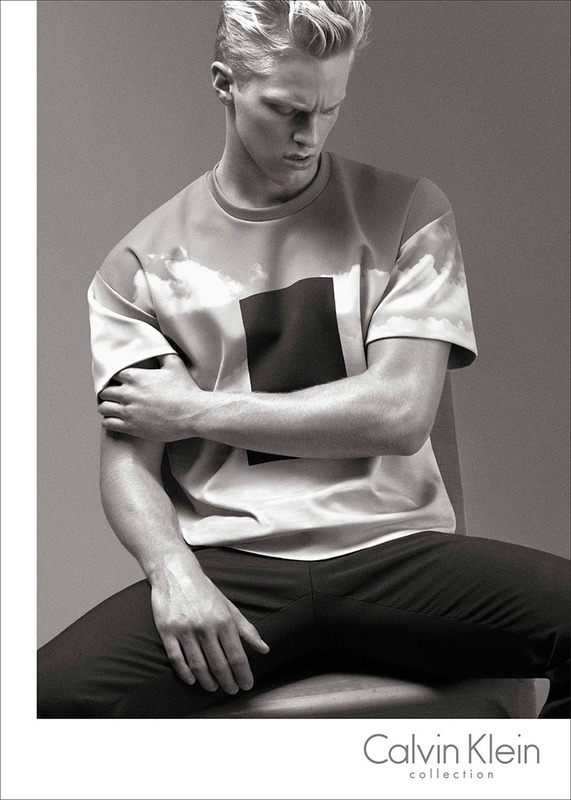 Shot in London, England, the Calvin Klein Collection campaign was produced under the creative direction of Calvin Klein’s in-house ad agency and creative studio working with consulting creative director Fabien Baron of Baron + Baron. This season’s Calvin Klein Jeans advertising campaign was shot by Mario Sorrenti in East Hampton, New York and features Ms. Axente alongside Matt Terry.